Apple Music, Spotify, Google Music? This is old already. There is a new social music app on the market, called Playlist, that wants to make listening to music more social than all the others. Let’s see what Playlist is all about! 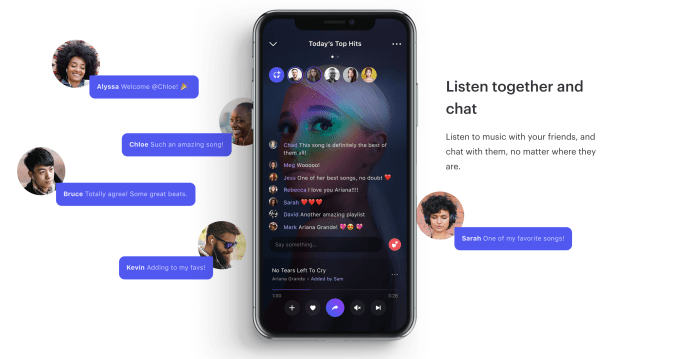 Playlist is a social music app that allows you to find others with the same music tastes as yourself, listen to music in tandem and even join groups where you can chat about what you listen or give suggestions. Who are the founders of Playlist? The two founders have noticed the social networks have developed and have had an amazing growth, but the music based ones were quite left behind. In early years, people gathered to listen to music together, have fun and exchange opinions on what they were hearing. Ever since music came to our smartphones, we are more and more listening to music by ourselves and don’t share it as much as we did before. So Karen and Steve have thought of an app that allows its users to chat, join groups, synchronize their feeds and even to listen to the same music at the same time and share their opinions on it, give comments, likes, and shares. The app uses machine learning in order to give recommendations based on what you listened before, the collaborative playlists and messaging. At the moment, it is launched only for the US market and has a 45 million songs catalog. It is a free app and, for the moment, they are planning to keep it this way and monetize it with ads. The app is available only on iOS at the moment, whilst an Android version is being built. What do you think of this new app? Will it surpass the other music listening apps with its innovative social feature? See also: SoundCloud or YouTube – Which One Is Better?